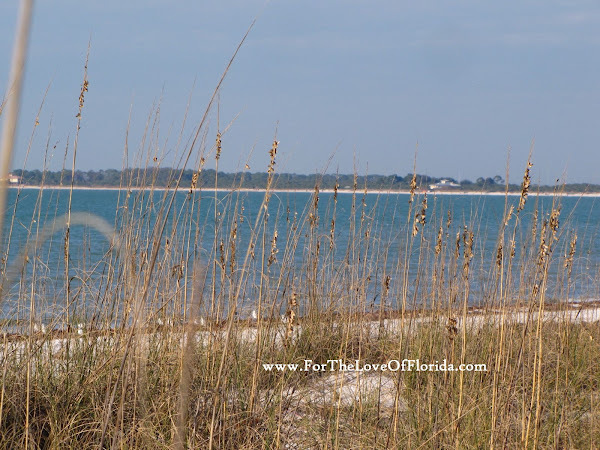 One of the barrier islands west of the coastal (and oh so quaint, too) community of Dunedin, FL, Caladesi Island State Park, is only accessible by boat. 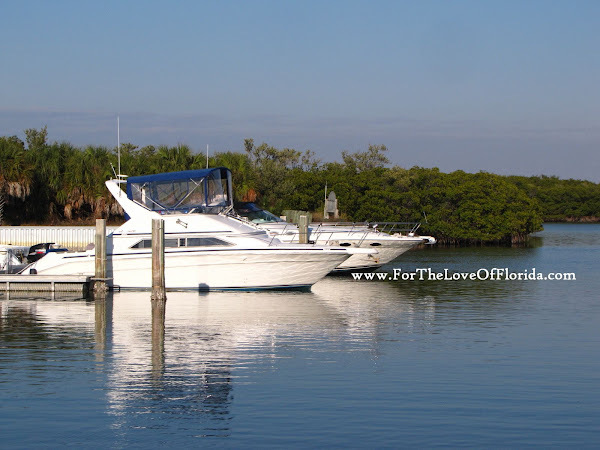 Private boats can dock or even stay overnight in the 108-slip marina. For those of us who don't have a boat the ferry service leaves from Honeymoon Island State Park and runs back and forth between the docks all day long. Mangrove forests line the eastern shore with red, black, and white mangroves. So vital to the eco-system of our shoreline providing protection and nursery habitat for so many fish and invertabrates. Not to mention how unique and truly Florida is this visual. 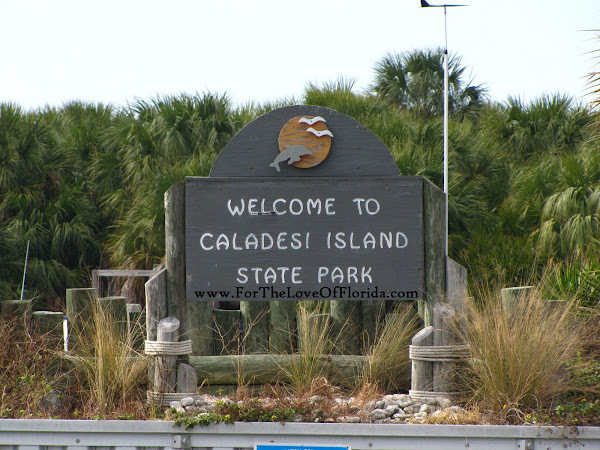 Caladesi Island was named the #1 beach in America by Dr. Stephen Leatherman a.k.a. Dr. Beach in 2008. 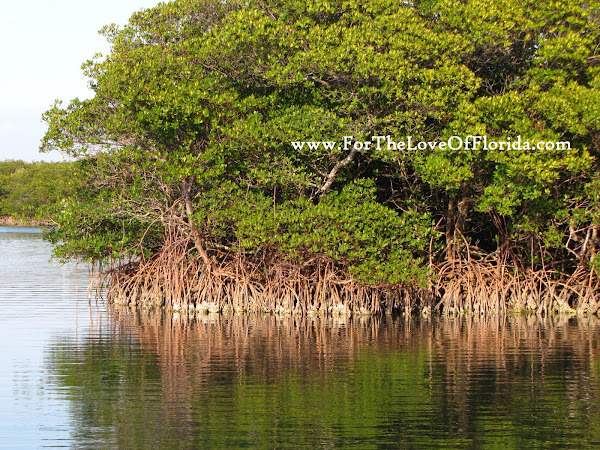 This weekend a friend and I planned to kayak the 3 miles around the mangrove area to see the abundant wildlife and to get some extra exercise. We were VERY dismayed to find all 10 kayaks were already rented when we arrived in early afternoon. 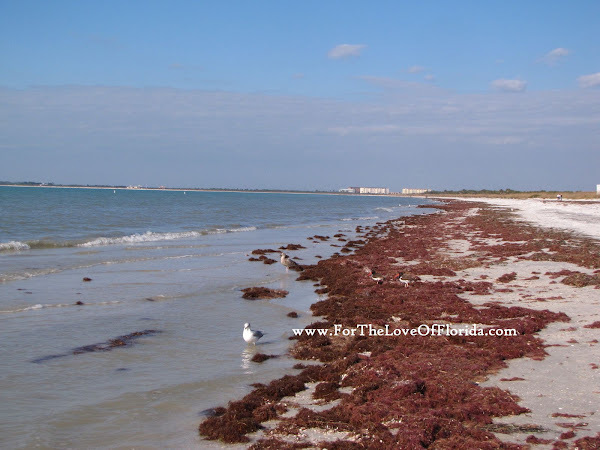 The Gulf side of this isolated island is four miles of peaceful, almost untouched by mankind shoreline. From the beach side looking back to the interior sandy dunes of white sugary mounds are visible and behind them sabal palms are thickly clumped together for miles. Some of the winter shorebirds were hanging out. 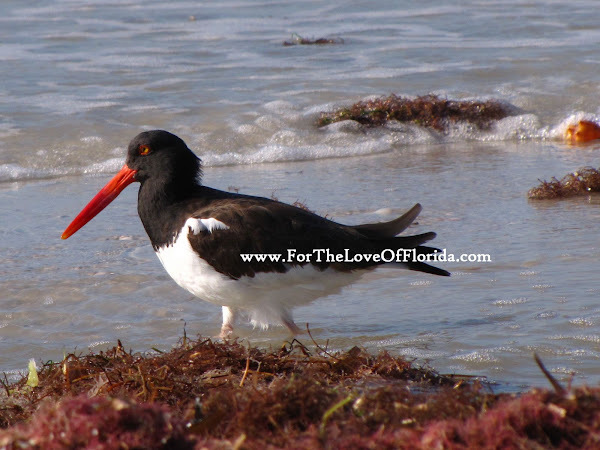 It is always a delight to see what birds are at the beach which changes amazingly depending on the time of year. 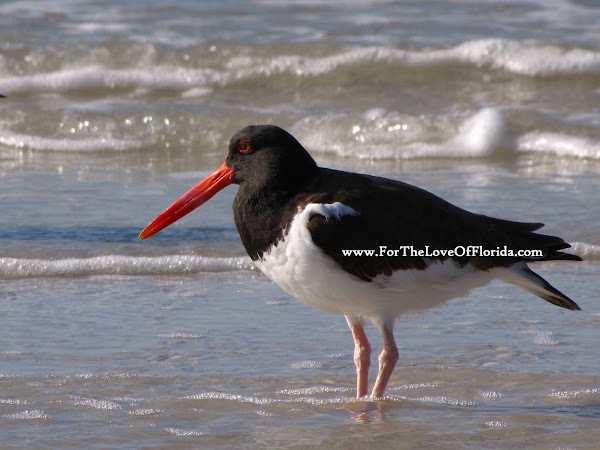 American Oyster Catchers are not easily mistaken with any other shorebird. Its markings are conspicuous with its brightly colored bill and rim of the same hue around the eye. During winter months this bird becomes locally abundant. But I've not seen them on the coast except here on the island. Maybe it's because they are easily disturbed when nesting and they need beaches free of humans and dogs to breed successfully. Nature trails on the island will wind you through the maritime hammocks where it's best to keep an eye out for eastern diamondback rattlesnakes that do forage for food in these areas. It was a mostly clear and cool Florida day which made it perfect for the ferry ride and enjoying our fabulous winter outdoors. 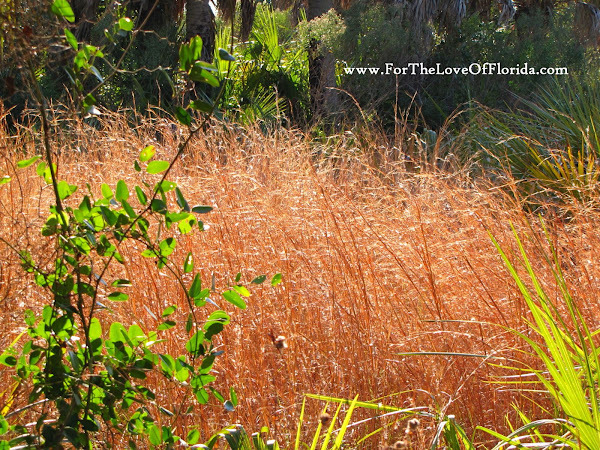 I've been to so many great places in Florida over the last few months and have so many photos to share. Hopefully I'll get better about posting to this blog this year. Probably best not to hold your breath though. Life just doesn't slow down long enough does it! 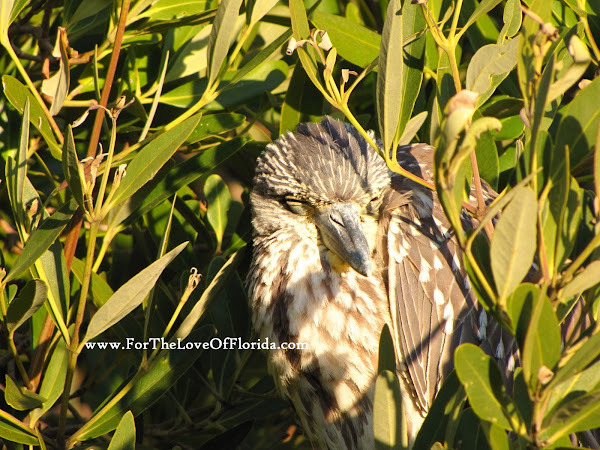 I think this sleeping fellow hidden so well in the branches is a juvenile yellow-crowned night-heron but I'm not that great with bird ID's ... especially with the juveniles. 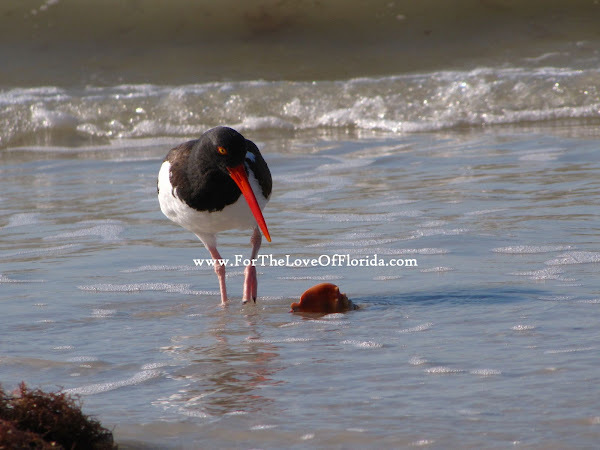 Have you been to any fabulous beaches lately? Now is the time to kick off your shoes and feel the sand between your toes! 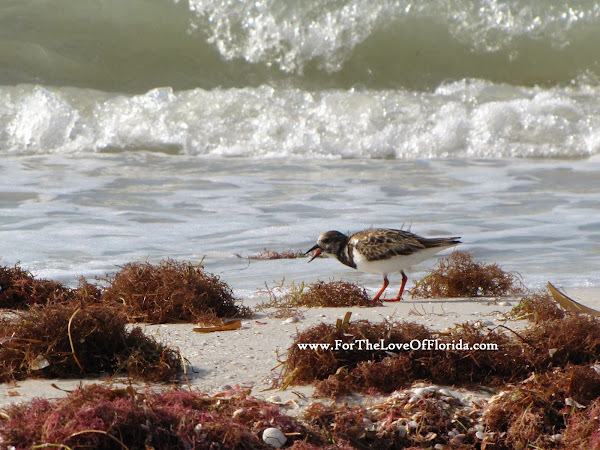 ****In the first bird photo above: Ruddy Turnstone~~ uses its bill to flip rocks, shells and seaweed to expose food. 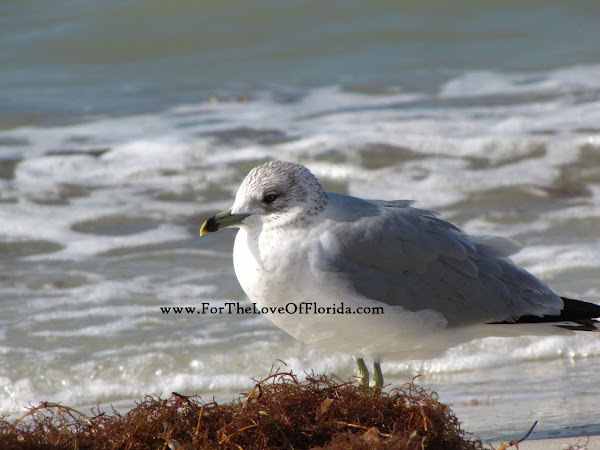 ****The next one: Ring-billed Gull~~ this one is a permanent resident but less numerous in summer. Hi Meems...Great photos! I lived in Dunedin for 6 years before moving to where I am now, and I loved going to Caladesi and Honeymoon Island, as well as the causeway area. All 3 are very low key and quiet beaches. Sorry that you didn't get to kayak. Hopefully next time. It takes us about 50 minutes to get there from here. What a great little area. Mr. Meems and I drive over for dinner as often as we think about it. Now that I'm living the Tampa area, I hope to make this trip real soon. greetings from another native Floridian from the beautiful panhandle area!! I am now one of your followers!! love reading/seeing all about your areas..
Denver Colorado has been my home for the past 6 years..
but am working on moving BACK to Florida.. hopefully before year's end..